Fire is an international open-access journal about the science, policy, and technology of fires and how they interact with communities and the environment. Fire serves as an international forum for diverse scientific and practical knowledge to converge in the interest of promoting more safe, effective, and scientifically driven expertise in the policy, community actions, and operational management of vegetation/landscape fires. We encourage interdisciplinary submissions from studies that take a pyrogeography perspective of vegetation fires occurring in natural, cultural, and industrial landscapes and how they interact with communities in the science-policy interface. We seek the submission of case studies highlighting significant fire events or examples of governmental or community-based fire management. We also encourage methodological technical notes and data descriptions to enable global cross-comparisons of core science methods, data types, and fires. This journal also encourages submissions related to the historical, policy, and social science aspects of fire science and fire management. The journal primarily focuses on vegetation fires characterized by external ignition sources (i.e. outside of structures) and their impact on communities and the environment. Fire science research focused inside the buildings (structural response to fire, smoke and heat transport, ignition and fire spread, technical solutions for fire safety) may also be considered, especially if related to the challenges associated with wildland urban interface fires or structures in fire-prone landscapes. Fire is interested in submissions that consider the growing challenge of landscape fires occurring in and around the interface between vegetated lands, rural structures, villages and other residential areas including peri-urban areas. Fire is also interested in research focused on vegetation fires arising from lightning, transportation sources, power lines, munitions, and other human sources. Fire also encourages submissions of papers bridging the areas of vegetation/landscape fires and building fires, that focus on environmental consequences of large fires (also in urban environments), protection of buildings against wildfires/landscape fires and the development of models useful for both fields. Fires can range from the laboratory scale to regional wildfire events; articles that examine fire issues and challenges at the science-policy interface or fires impacting both unmanaged/managed vegetation and habited areas, are encouraged. technical solutions for fire safety. Fire was founded following discussions with international fire scientists, operational managers, and wildland fire science organizations that include the Global Wildland Fire Network, which is coordinated by the Global Fire Monitoring Center (GFMC) and affiliated with the United Nations’ International Strategy for Disaster Reduction (UNISDR). Although Fire is affiliated with the Global Wildland Fire Network, we welcome and encourage international submissions on the science and management of vegetation fires and global change from any groups and individuals. 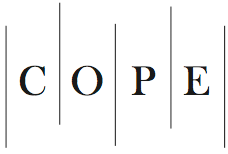 Fire is a member of the Committee on Publication Ethics (COPE). MDPI takes the responsibility to enforce a rigorous peer-review together with strict ethical policies and standards to ensure to add high quality scientific works to the field of scholarly publication. Unfortunately, cases of plagiarism, data falsification, inappropriate authorship credit, and the like, do arise. MDPI takes such publishing ethics issues very seriously and our editors are trained to proceed in such cases with a zero tolerance policy. To verify the originality of content submitted to our journals, we use iThenticate to check submissions against previous publications. MDPI works with Publons to provide reviewers with credit for their work.